Custom woodworking, and A Bit Of Everything else. We specialize in kitchen and bathroom remodels but take on many other projects as well. A.B.O.E. 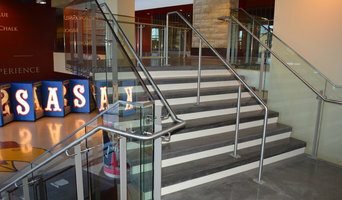 Construction was started in 2010 and have been serving the Kansas city metro area since. 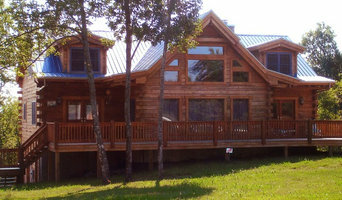 Schutt Log Homes is a family owned business specializing in solid Oak log home kits and custom mill work. We offer a variety of floor plans and styles to choose from. Kits as simple as a 400sq ft one room cabin to luxury 3000sq ft homes. 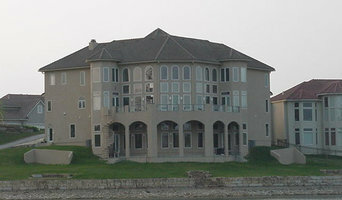 We will also assist customers design their custom dream home. Since 1983, Fountain Glass, Inc. has been a destination for homeowners, contractors, builders and businesses looking for high quality glass and mirror products. And, for over thirty years, our full office staff has assisted you with all of your glass and mirror needs – from complex glass projects to simple installations. To make the process easier for you, we offer the best glass selection in Kansas City with over 20,000 square feet of materials and equipment. We also offer a full range of detailed fabrication production including cutting, beveling, polishing, drilling and glazing. We can handle any project from start to finish. Here at Fountain Glass, our relationship with you comes first. And we deliver by offering the best in service, quality, and reliability. Ault Design + Construction offers architectural design and construction services that respond to each project’s individual requirements. We take pride in our innate ability to help our clients visualize an inspired solution that best meets their needs. We simply believe there’s no better design solution than the one that not only completely satisfies the client but also responds aesthetically and responsibly to the surrounding environment. Energy Efficiency Company including energy audits, insulation, air sealing, windows, doors, HVAC, consulting, solar, geothermal. Building traditional timber frames in Kansas, Missouri, Iowa, Oklahoma, Nebraska, and Colorado, Free State Timbersmiths, inc. has been helping people turn their dream into a reality for more than 15 years. Starting in 1995, we are a responsive company that takes pride in our hand-cut frames and architectural pieces, as well as our excellent customer service. We have a team that is very hands-on, professional, and conscientious of their work. From custom entryways to full timber frame homes, we have the experience and expertise to fulfill your needs and capture your vision. We will listen to your ideas and incorporate them into a design that best fits your lifestyle, utilizing techniques that have been employed for centuries. To us, the old way is still the best. JLB is owned by Josh Bultmann. Our company is a mid-sized business in the Kansas City Area that helps homeowners with foundation repair, water problems, drainage solutions, grading, foundation replacement, and new concrete. Josh is hands on in every job and has several hours of engineer training and certifications. Josh also has over 18 years of experience in the foundation field. Quality work, happy customers, and a fair price is our goal for JLB. Foundation Repair, Kansas City MO At JLB Foundation Repair & Waterproofing in Kansas City, MO, we are absolutely committed to the customer experience. For prompt, reliable and affordable foundation repair and waterproofing solutions, have confidence in our technicians. We are licensed and insured to provide our services and bring more than 18 years of experience in the field. Take advantage of our repair services that have been proven reliable and effective. We tackle a myriad of jobs ranging from small to complex. When you need an expert to waterproof your home or commercial building, consider us. If you are experiencing musty odor and damp walls, then you need dependable crawl space waterproofing and wall replacement service. Let our foundation repair team handle the heavy-duty work while you have faith in us. We have repaired a number of basements and walls that have experienced deterioration from floods and heavy rain. Our repair services have been proven to restore the integrity of your foundation and walls. For quality water drain service or basement waterproofing service, pursue our efforts. We also provide mud jacking services for those wanting to repair their concrete from prior devastation's. A custom garage coatings company with the vision of working with everyone to make their garage more presentable, livable, and unique. Subfloor Solutions is the floor squeak repair and prevention company for the Kansas City Metro. 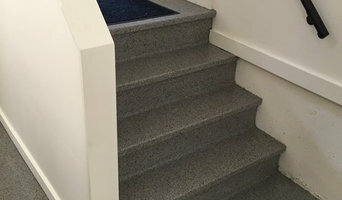 With over 12 years experience, Subfloor Solutions is the go to for builders in the KC area for subfloor screw down and squeak prevention in new home builds, we also work with builders, remodeling pros, the areas largest carpet and flooring companies as well as home owners to repair and prevent squeaks, level & prep subfloor and concrete flooring for new floor covering installation, and repair and replace damaged subfloor. We specialize in floor covering removal, subfloor repair & leveling and squeak repair and prevention. 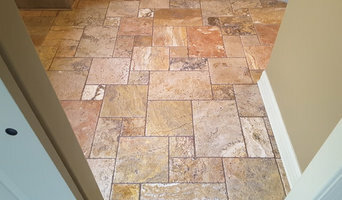 So, are you tired of annoying floor squeaks, uneven floors, high spots in your flooring, or ready to get new flooring? Give Subfloor Solutions a call, send us an email or message us on Facebook for free quotes and solutions for all of your subfloor needs. ¿Qué hacen las empresas de mudanzas en Ciudad de Kansas, MO? Antes de lanzarte a enlucir con yeso, recuerda que un mal trabajo puede dejar tus paredes hechas trizas. Enlucir una pared es una tarea delicada que exige conocimiento y práctica. Por ello, si tus paredes necesitan una nueva capa de yeso, contacta con yeseros de Ciudad de Kansas, MO. Los certificados energéticos garantizan que una vivienda consume la menor cantidad de energía posible y, así, favorecen tanto al bolsillo del propietario como al planeta, todo gracias al ahorro de energía. Además de este documento, los certificadores en Ciudad de Kansas, MO también expiden certificaciones de obra, dando fe de que se está construyendo un edificio o modificando uno ya existente. ¿Qué hace un topógrafo en Ciudad de Kansas, MO? Aunque algunas personas las confunden, la cartografía y la topografía son ciencias distintas. La primera se encarga de los mapas mientras que la segunda se centra en el terreno. Así, si lo que buscas es un profesional que te asesore sobre los terrenos de tu obra, debes contactar con empresas de topografía o topógrafos de Ciudad de Kansas, MO. Encuentra empresas de mudanzas, empresas de transporte, yeseros, certificadores y topógrafos en Ciudad de Kansas, MO. Mejora los resultados de la búsqueda en la sección “Profesionales” incluyendo el nombre de tu ciudad o comunidad autónoma. También puedes consultar las fotos de proyectos de los profesionales de Ciudad de Kansas, MO para encontrar expertos que hayan trabajado en proyectos similares al tuyo.